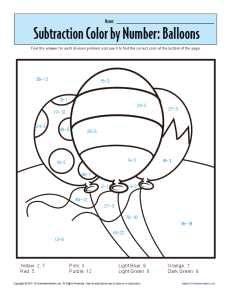 This balloon bouquet will boost your student's division skills. Each quotient represents a color. If he finds the answer, he'll know which color to use. It's fun and educational!